Dramatic views abound every direction you look at this exclusive, luxury resort. Each villa features authentic Mexican décor, spacious upscale rooms with all the amenities, and personal touches by the hotel’s renowned architect. Dishes at the elegant Ridge Restaurant are prepared by an award-winning chef specializing in Mediterranean cuisine. When you’re ready to venture out, there’s an adults only pool with swim-up bar and poolside service, the luxurious Thalasso Spa for some serious pampering, and so much more. World-class shopping, dining and the nightlife Cabo is famous for, can be found just a five minute stroll away. The Ridge Resort at Playa Grande is an exceptional resort perfect for families, couples and travellers looking for quality, and VIP treatment on a budget. The Ridge is doubly fantastic as it is situated in downtown Cabo San Lucas, but feels a world away, as you can escape the noise and hubbub, and relax by your VIP pool, enjoying endless vistas of the Pacific Ocean and Sea of Cortez. Ridge room rates include accommodations only, (European Plan) but also offer selection of optional meal plans. With five restaurants and a multitude of bars, The Ridge at Playa Grande Resort will satisfy any appetite or mood, pretty much anytime of the day or night. Located a convenient walking distance from El Centro, and a wide selection of amazing restaurants in downtown Cabo San Lucas, should you decide to explore some of the great local spots. Just ask your LuxLife Concierge for restaurant recommendations to fit your style, appetite and budget. You have access to a gorgeous beach with amazing sunsets, but you must know it is not a swimmable beach. This is for your own safety as the currents may be strong. This factor should not detract from your enjoyment, as there are an assortment of fabulous infinity-edge pools overlooking the Pacific, and plenty of other water activities. One room unit with capacity of 4 people. Well equipped kitchen with electric stove, microwave, fridge, blender, toaster and coffee maker. Dining room, living room, 2 bathrooms. Bathroom main room with tube, main room king size bed, and a single chest and a twin murphy bed. Safety box, iron, iron board, hairdryer in each bathroom, radio-alarm clock terrace in dining room, balconies in rooms. Two room unit with capacity of 6 people. Well equipped kitchen with electric stove, microwave, fridge, blender, toaster and coffee maker. Dining room, living room, and 3 bathrooms. Bathroom main room with jacuzzi, main room king size bed, guests room with 2 twin beds, a twin murphy bed. Safety box, iron, iron board, hairdryer in each bathroom, radio-alarm clock, terrace in dining room, balconies in rooms. Located at the very tip of Baja California Sur, Playa Grande’s resort campus sprawls over an area of 8 prime acres surrounded by the Pacific Ocean to the west, and the Cabo San Lucas Marina and Sea of Cortez to the east. Each Ridge Hotel suite features a private terrace with Marina views. Enjoy the private Ridge restaurant and spectacular pool area for exclusive use, with additional access to all other Playa Grande restaurants. The Resort enjoys the privacy of the peninsula’s end, along with majestic seas; but is also close enough to enjoy all that the town of Cabo San Lucas and the famed Puerto Paraiso Mall have to offer. Guests may be pampered from head to toe, with seawater baths and seaweed based treatments from the Sea of Cortez; tailored to their exact needs at Thalasso Spa, as well as Sea Spa Cabanas on the beach, or in the privacy of your room. Individual or couple treatments range from hot stone and body scrubs to Reflexology, Body wraps, Ayurvedic treatments and Aromatherapy sessions and more. 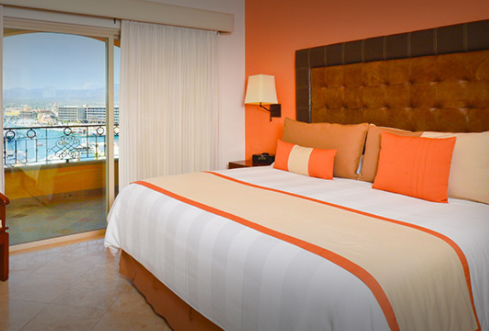 All Ridge registered guests are welcome at Playa Grande Resort & Spa. Children and infants are readily accommodated, with a playground on site. Children under 12 stay for free in their parents’ room. Extra person, in room child care, and crib charges will apply. Pets are not allowed. Non-registered guests are not allowed in guest rooms. Onsite tennis court, Golf, mountain biking, ecotours & horseback riding are available for those who prefer to stay dry. In addition for ocean lovers, deep sea fishing, scuba, snorkelling, kayaking, sailing, parasailing and sunset boat excursions may also be booked with the hotel concierge at extra cost. 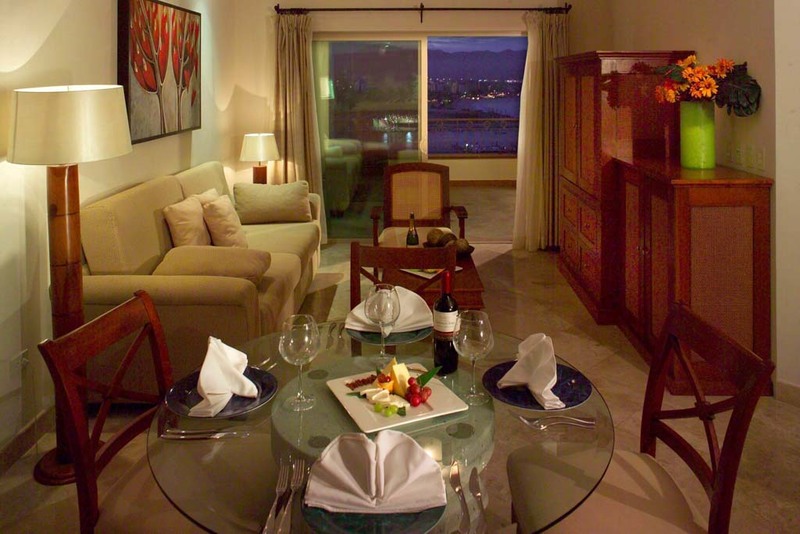 Casa Dorada brings upscale service and family-friendly features to Cabo San Lucas’ oceanfront, located smack dab on popular El Medano Beach.